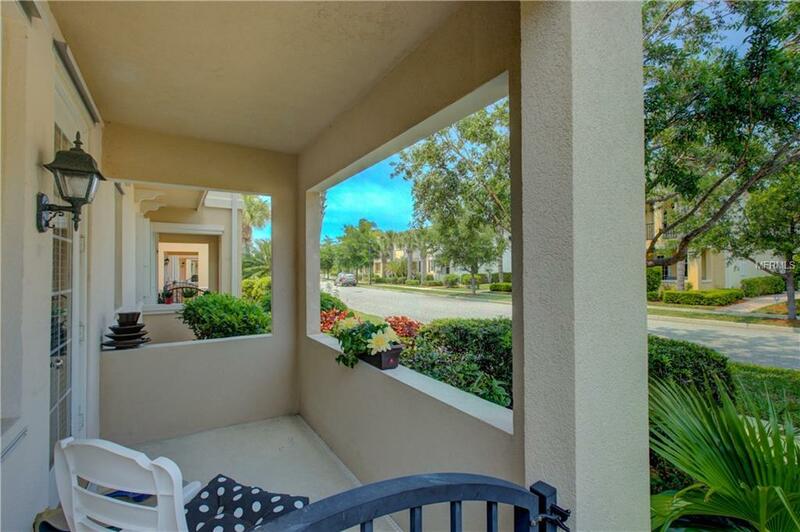 Newly upgraded, spacious, move-in-ready, 3 Bedroom, 3 bath town home perfectly situated on a highly sought after corner lot located in the renowned community of Palmer Ranch in Sarasota. 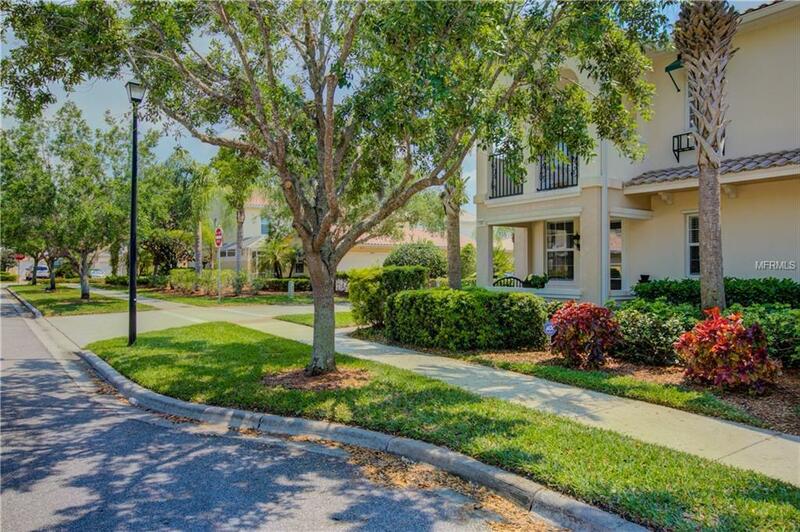 This residence boasts an open floor plan with an expansive great room, dining area and a bright, beautiful kitchen with new Whirlpool stainless steel appliances installed in 2018 complete with a 5-year warranty. In the living room 12' sliding glass doors open to the newly painted and private caged lanai great for entertaining or just to relax and enjoy the beautiful Florida weather. Adjacent to the lanai is a 2 car detached garage with ample attic space. The second floor boasts 2 luxurious master bedroom suites which include full bathrooms and walk in closets; one suite opens to a charming private balcony overlooking beautifully landscaped grounds. Home features include Moen faucets, ceiling fans, newer carpet, a convenient central vacuum system, 9' ceilings, 8' exterior doors, new Carrier AC replaced in 2015, & new paint throughout the home. The Cayman Model features DiVosta's poured solid concrete construction. The Isles on Palmer Ranch is maintenance free & has low HOA fees. 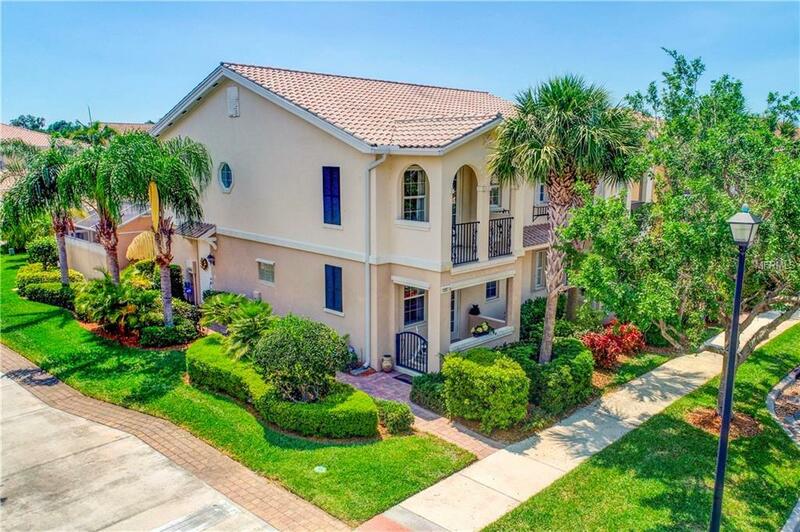 Enjoy relaxed & easy living with a heated lagoon pool, lighted tennis, bocce ball, & basketball courts, "tot lot" and lakeside Village Center with a modern fitness facility. The Isles has a full time on site manager and an activities director. 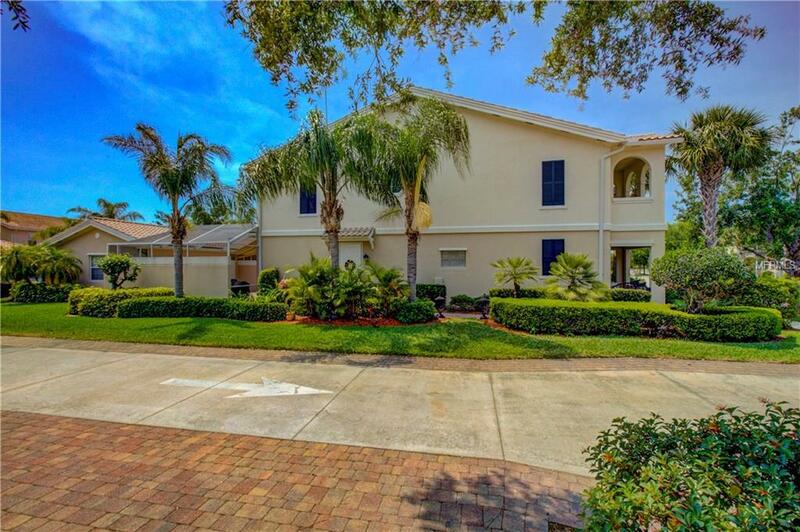 Conveniently located to A+ rated schools, shopping, walking and biking trails, state parks and Siesta Key.